Cuff: The MDF Latex-Free Newborn Blood Pressure Cuff with Single Tube is abrasion, chemical (chlorine and peroxide)and moisture resistant. 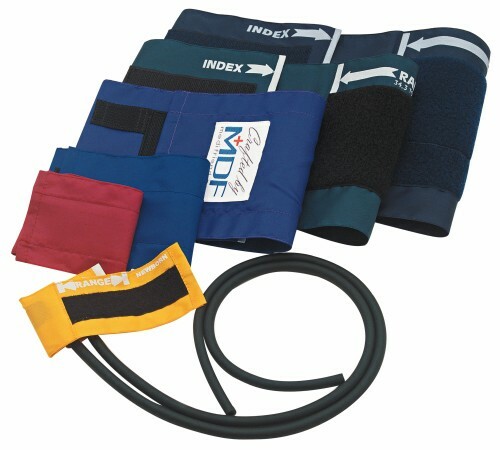 The Velcro® Cuff is constructed of high-molecular polymer 210Denier Nylon. 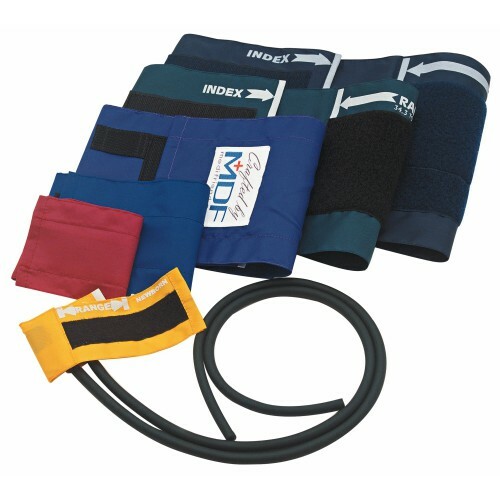 Very nicely manufactured, high quality materials throughout, and a great price. I'm Very satisfied.